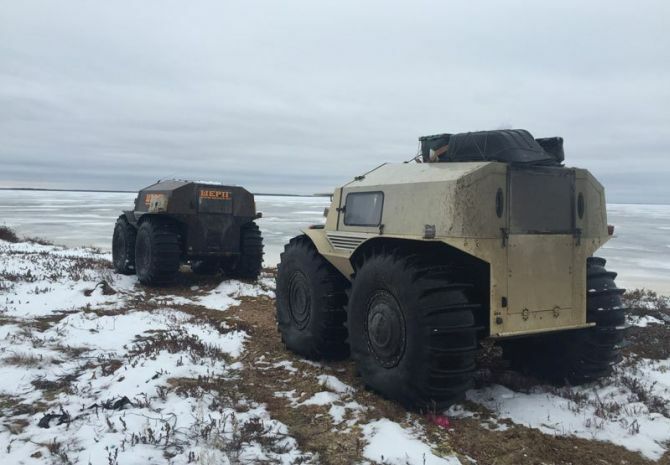 The badass amphibious truck measures 11 feet long and weighs 1,300kg. 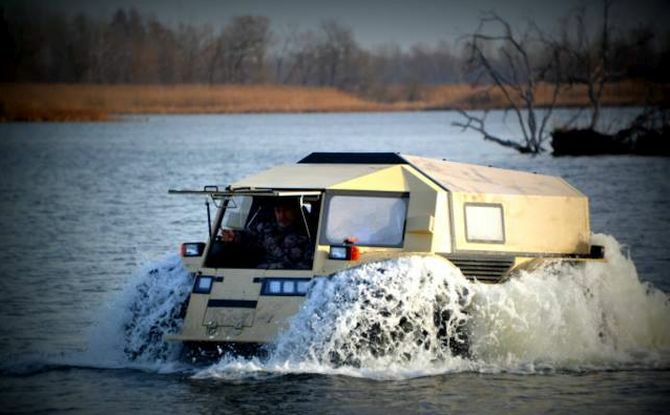 It can reach speeds of 28 mph on land, 3.7 mph in water and can also creep up to 9.3 mph in first gear. 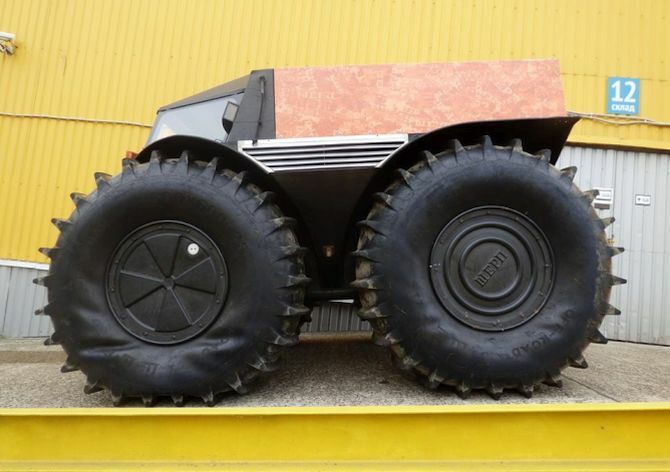 Making 70 percent of the ATV’s total height, the self-inflating custom tires can take the Sherp ATV over obstacles up to 27.5 inches tall. Also, the skid steer system can make it turn in its own length. 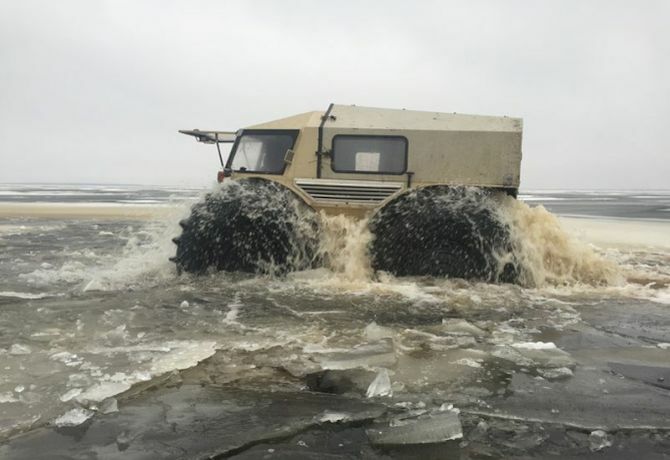 The Russian ATV is powered by 1.5 liter 44.3 horsepower V1505 four-cylinder diesel engine from Japanese company Kubota and comes with five-speed manual transmission. 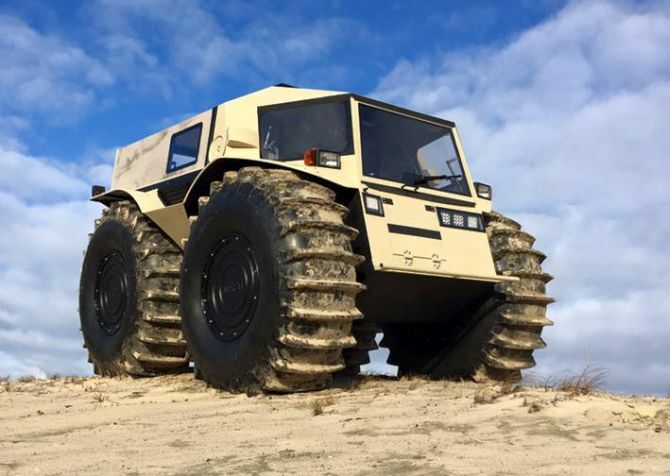 Designed to operate in worst of the conditions, Sherp ATV by Aleksey Garagashyan can be very effective for rescue missions and delivering goods to hostile areas. The standard version with a tent roof is priced at $65k whereas the hard top variant with some luxurious features will set you back around $70,000. 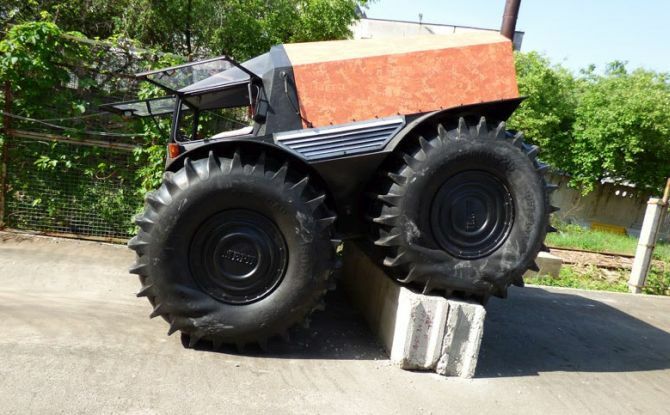 Making all-terrain vehicles since 1991, Aleksey Garagashyan built the first Sherp prototype back in 2012.